Kitchen Appliances There are 21 products. We at Slamtech bring to you a huge product line of top-rated sandwich makers. We at Slamtech bring to you a huge product line of top-rated pressure cooker. Like sipping freshly brewed coffee and tea? If yes, then take home a High-performace coffee and tea maker from Slamtech. At our Coffee & Tea maker section, you will find huge variety of these products. With us you will find filter coffee machines, espresso machines and coffee makers with cup, to suit varied needs with ease. So, shop now to fill your home with the mesmerizing aroma of freshly brewed coffee and enjoy café quality coffee and tea at home. Enjoy fresh toasts and breads in your breakfast by getting a quality Toaster from Slamtech. 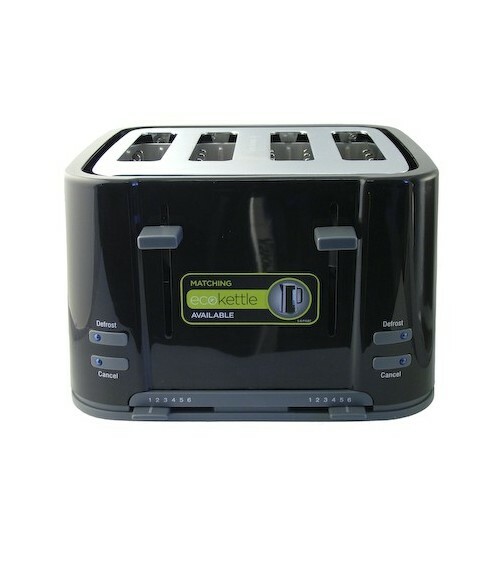 Right from slice toasters to sandwich toaster, we have stocked A-grade products at one place. Many renowned brands are available with us- choose from Frigidaire, Lloytron and many more. Ease off your early morning hassles by adding a high quality Toaster to your breakfast bar from Slamtech. Nothing can beat the taste of fresh, hot coffee after a hectic day of usual work. Isn’t it? So, treat yourself with fresh coffee, tea, hot water and more related luxuries with an electric kettle.At our section of Kettles, you will find a huge variety of products. Starting from cordless kettle to travel kettle with 2 plastic mugs and jug kettles, we have it all for you. So, take a look at our product line without worrying about prices and shop your heart out. An apple a day keeps the doctor away. All of us must have heard of this saying marking the importance of fruits in our health and wellbeing. So, keep yourself fresh and energetic by starting your morning with a glass of fresh juice. At our section of juice extractors, you will find a huge variety of products. Starting from citrus juicers to full fruit juice extractor and many more, we have it all for you. So, browse through our product and yes don’t worry about the prices at all! With us you will find tailor-made deals for your budget. Finding it hard to cook a restaurant style fried fish at home? If your head is nodding in a yes then equip your kitchen with a Fryer! Yes! At Slamtech, we stock some of the top-rated Fryers that will make deep fry cooking much simpler and easier for you! Our range comprises of stainless steel deep fryers, halogen convection oven, and square deep fryers to meet your needs and kitchen space at best! So, without any wait, look at our collection of Fryers below and get the right one that suits you perfectly! Make your everyday cooking a hassle free and simple process by equipping your kitchen with quality Choppers & Grinders. We at Slamtech bring to you quality mini chopper, coffee grinder, chopper mincer, food chopper, wet & dry grinder, mini multi chopper stainless, and steel coffee/spice grinder. You just wish it and we will make it possible for you! So, what are you waiting for? Just browse through our range and get the right chopper and grinder that you always wanted! Make your everyday cooking a hassle free and simple process by equipping your kitchen with quality Blenders & Mixers. We at Slamtech bring to you quality mini blenders, hand mixer, hand blender with chopper, blender with grinder attachment, hand whisk, and compact glass blender. You just wish it and we will make it possible for you! So, what are you waiting for? Just browse through our range and get the right blender and mixer that you always wanted! Make your everyday cooking a hassle free and simple process by equipping your kitchen with quality can openers. Just browse through our range and get the right can opener that you always wanted! Pots & Pans section from Slamtech brings you all the equipments you may need for your kitchen. Make your everyday cooking a hassle free and simple process by equipping your kitchen with quality Food Processors. We at Slamtech bring to you a huge product line of top-rated food processors. You wish it, and we provide it. So, what are you waiting for? Just browse through our range and get the right food processor that you always wanted! Make detectable and fresh bread at home with a bread maker! At Slamtech, you will find a comprehensive collection of bread makers. The products available with us are sure to meet your bread making needs as well as budget! With us, you will surely end up getting the right product at reasonable rates! So, don’t let go off such a chance! Take a look at our range of break makers below to get the top-rated product at reasonable rates! Grills section from Slamtech brings you all the equipments you may need for your kitchen. Microwave section from Slamtech brings you all the equipments you may need for your kitchen. Toasters & Kettles maker section from Slamtech brings you all the equipments you may need for your kitchen.